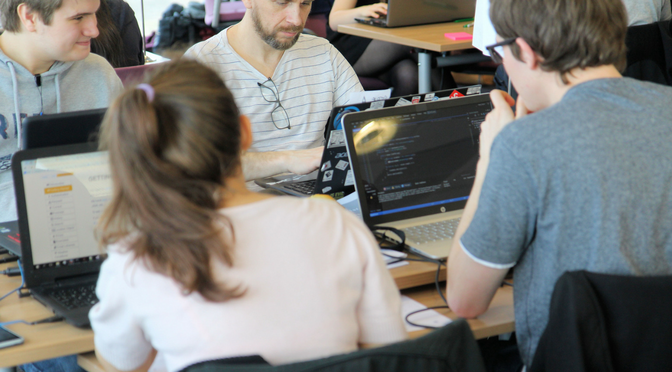 Stockport Hackathon was one of a series of events aimed at encouraging the use of digital technology which we organised to celebrate the launch of our new website and online services. The brief was left as wide open as possible, inviting participants to “Unleash their creativity and expertise to help people in Stockport connect with their wider community and enrich their lives and social wellbeing”. We hoped that this would encourage ideas to assist people to discover and connect with activities, events, organisations, and community groups they are interested in. Of the eleven teams who converged on Fred Perry House on Saturday the majority applied as pre-formed teams with just three being brought together for the first time at the event. Many were seasoned hackathon attendees, however, for a number it was their first introduction to this type of event. They came from a wide variety of backgrounds, with many different skills and interests. A number were studying technical subjects or working in the tech industry. Others brought management consultancy and entrepreneurship to the day. Everyone brought enthusiasm, commitment and ideas. The event was promoted on social media, through local colleges and universities as well as on Eventbrite. We reached our maximum number of applicants in advance and most attendees turned up on the day – perhaps the personal phone calls confirming pizza pre-orders were an influencing factor here! This sustenance was put to good use as the teams threw all their energies into developing their ideas and creating working prototypes within this very tight timeframe. All the participants worked enthusiastically and tirelessly and it was impressive to see so many talented individuals freely giving their time and pooling their skills and creativity for the good of the community as a whole. At the end of the twelve hour event, the teams had the opportunity to present their ideas in front of their peers and the panel of judges, comprising: Councillor Kate Butler, Executive Member for Economy and Regeneration at Stockport Council, Tom McConnell, from local software company CDL who sponsored the event, Adam Cooper from Government Digital Service, Kirsty Tidmarsh from Department of Work and Pensions and Steve Skelton, Head of Stockport Council’s Digital by Design programme. We are extremely grateful to all the judges, to Jim Evans and all the mentors on the day, to everyone who gave their time to help make the event such a success and to the applicants for their participation and enthusiasm. 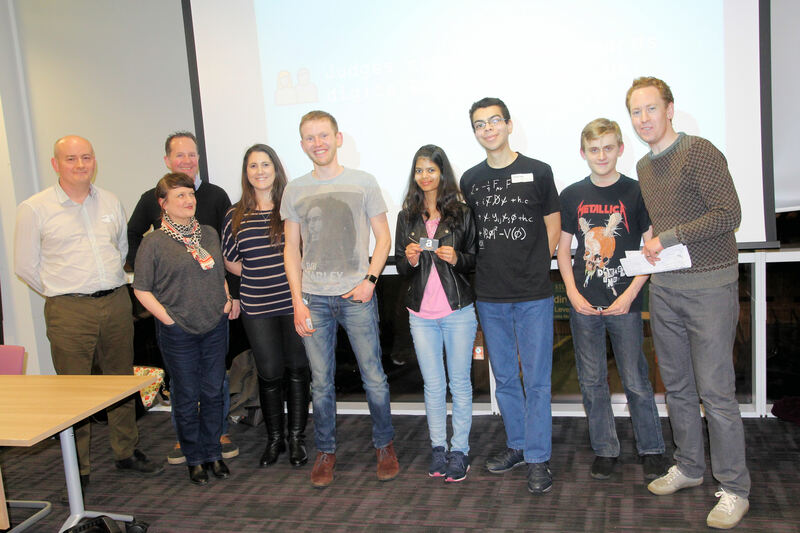 Feedback from attendees and judges alike was that the event was a great success, enjoyable and rewarding. 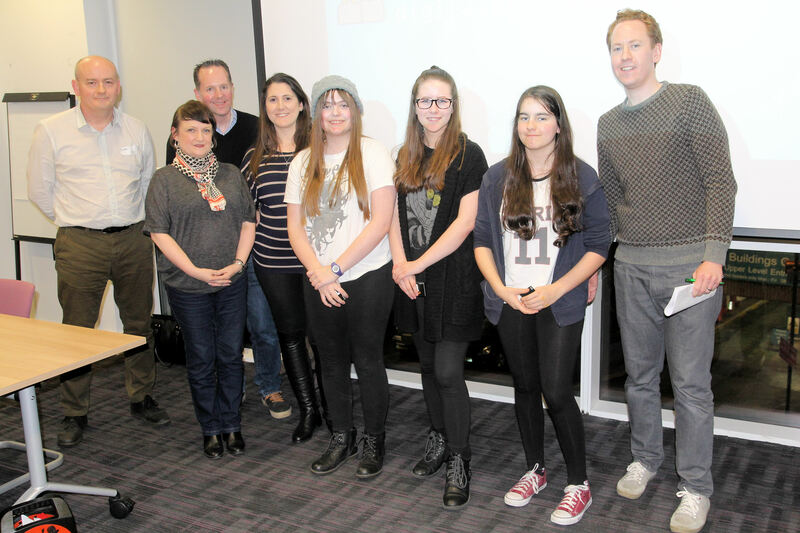 “Fluffy Unicorns”, the winning team, created ‘VoStock’ a volunteering app to help build stronger communities and create a tighter bond between people in Stockport. Team members were: Dragos Chivulescu, Raluca Cruceru, Alexandra Misca and Simona Paulescu. They each won an Amazon Echo (courtesy of CDL) and the opportunity of work experience in Stockport Council’s Digital by Design team. We will also be discussing with them the potential for their idea to be supported into development by Stockport Council. In second place came “Don Jones Society” with an interactive calendar, tailored to the user’s interests and offering users a chatroom to ask questions directly of event organisers. Team members, each winning a £25 Amazon voucher, were: Jessica De Sousa, Zoe Dunn and Emily Storer. 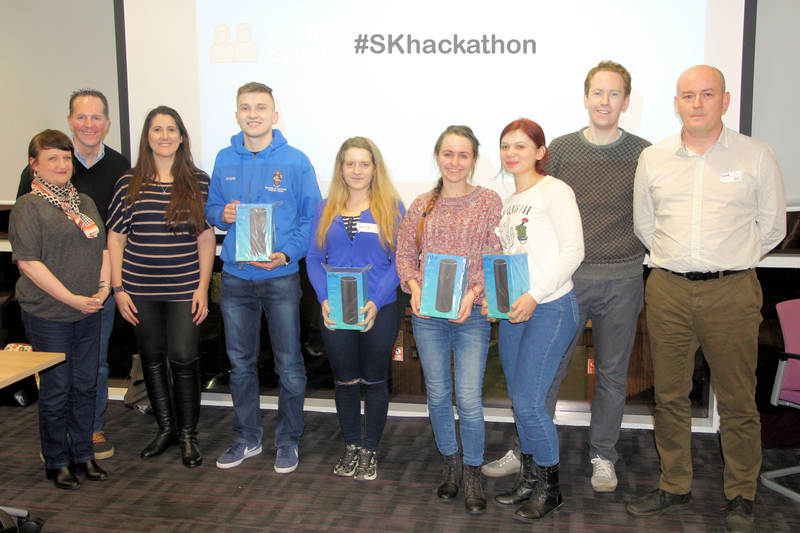 In third place were “Beginners Luck”, a team competing in a hackathon event for the very first time, who came up with the #CleanStockport concept – a web-based interface designed to help the local environment, bring the community together and provide income for underemployed people. Team members were: Jack Leigh, Jonathan Cowling, Tom Ridgeway and Lesna Shamloll. Each received and Amazon £25 gift voucher. For all the participants involvement in events such as these are invaluable when building a tech CV and may well lead to work opportunities in the future.